Here comes our next batch of BBCShop.com reviews. This one starting with the UNIT files. This part is focusing on The Android Invasion. The Android Invasion is the 83rd classic Doctor Who episode. It features Tom Baker as the 4th Doctor and Elisabeth Sladen as Sarah Jane Smith. The story was written by Terry Nation. 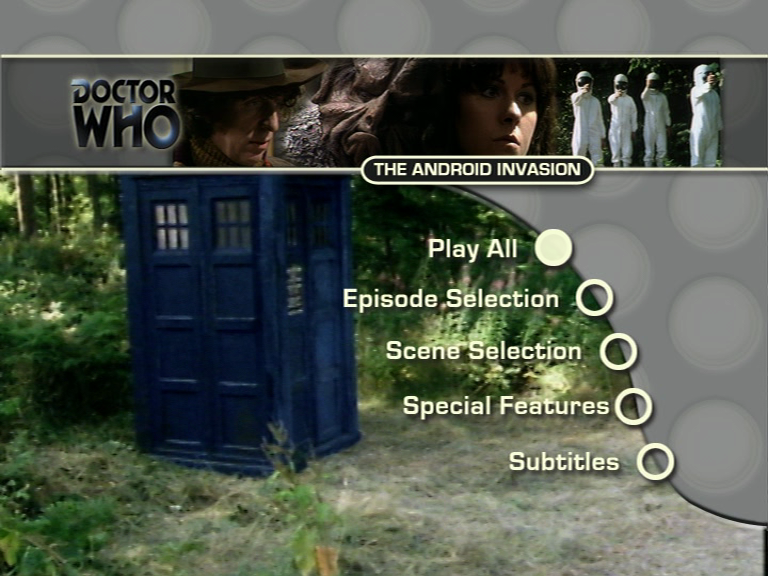 These are the basis of what some could consider a masterpiece however The Android Invasion does not quite become this. Doctor Who is the sort of series where people will look into it in far more detail and think about it and this is where this serial fails. 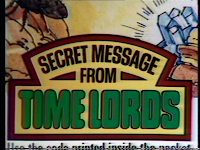 During one of the Extras, it is mentioned that these episodes were made during a time where there was no VHS or DVDs so people could not go back and watch it 2 or more times over and this is what the crew seemed to have obviously depended on, and so, for you to enjoy this story, there are many factors that you may have to ignore. Having said that, the first episode does begin an amazing mystery. The first episode gets into the whole "where ever we go, we're screwed" mood rather quickly really as only a mere minute after starting to wonder off, our lovable duo encounter some unknown people dressed in white suits with astronaut helmets who quickly begin to shoot at them using their fingers, who have about as good an aim as the Daleks and Cybermen do when shooting at him. UNIT, who also are supposed to be trained in shooting, seemed to also be as hopeless at aiming when shooting at them later on. I won't bore you with the details of much more of the synopsis of the episodes (that's what TARDIS Wiki is for!) though. 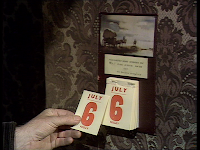 However, the mystery that this episode begins, like I said before, is very intriguing one. The astronaut-ish men attacking anyone, the deserted village, the freshly minted coins made in the same year, a suicidal UNIT soldier who doesn't even register The Doctor (we all know how hard that is!). Not to mention a calendar that only has one day on it. This is unfortunately, broken down fairly quickly later on. As someone who is used to HD and it's HD effects, I often find that throughout my classic marathon, I find the lack of effects disturbing/laughable. To give you an idea of this, we currently live in a time where we can slow down or reverse video at the click of a button even on the worst of video editing software. When The Android Invasion was produced, they had to book out a piece of equipment to do this. The plus side of this is obviously that the realism is more heavily relied upon the acting of the actors and the scripting and this is something that both Tom and Lis pulled off without a doubt. Although when Sarah slid down the "hill" and The Doctor had to drag her back up, I had to chuckle at the sheer obvious fakeness of having to "climb up" a hill that looks to be fairly horizontal. On the note of locations, as opposed to most classic Doctor Who episodes I've seen so far, I must say that it's a pleasure seeing an serial set outside of studios. This didn't last long, however, and soon returned to studios for events inside places such as the pub and the spaceship only going out now and then. The robots can be likened to the Autons a lot. The way that they can be both like humans and robots and switch between these in a second is a factor that I've found both of these share. Not just in movement however but mentally as well. For example, the conversations the androids had in the pub. The switching of this can be fairly creepy to watch. For example, when switching from robotic to human in the pub, the effect is rather shocking (which feels weird to say really). Also the emotions they were able to portray were fairly accurate, but rare, for example when Benton shoots at the fake Doctor thinking it is the real Doctor, the fake Doctor's reaction is one of annoyance. The way they fire at people, through their hands, are also incredibly alike. It's a bit of a shame really that The Doctor doesn't really comment on this at all. 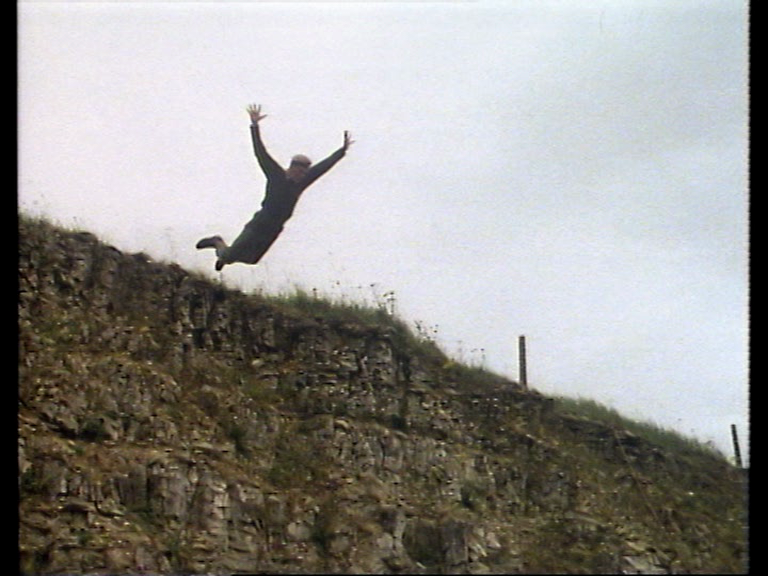 I find the cliff-hanger at the end of episode 2, where it was revealed to The Doctor that the Sarah Jane he was with was a fake, to be rather frightening. It was not just revealed that it was a fake, like it was in the original script, however. 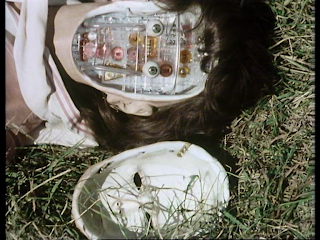 Mostly frightening for the children to see the person that they know and love to suddenly point a gun at our Doctor, fight with him and then fall down into the grass where her face decides to fall off. Two things come to mind during this. The Kraals aren't that great at creating robots that are durable and two, this is fairly a scary thing to see happen to a character that our kids all know and have gotten incredibly close to. Having said that, I find that this is a great thing to happen. Kids being scared needs to happen, especially nowadays. Similar to when the real Sarah almost drank the poisonous water, only to be saved by a small idea given to her by The Doctor in a few words. I find this helps the drama stay dramatic and does in fact make the viewers heart beat a little more rapidly. Anyway, onto the plot holes and one of the massive plot holes I find is Crayfords eyepatch. The back story to this is that CrayfordCrayford shift trust from the Kraals to The Doctor. What's the problem with this? Isn't this just a dramatic thing to backup The Doctor? No. I'm not sure if anyone else has worn an eyepatch before, but I've found that 99% of the time, some light will seep through, if not through the material but through the edges (which I am sure I can see a gap near the nose). How could he have not noticed this? But avoiding this admittedly disputable fact, has he never taken the eyepatch off? at all? I find curiosity to be a very powerful thing, often expressed in Doctor Who itself, and for someone to have never taken his eye patch off for either a quick looksie or to wash or even just to replace it seems just plain baffling. And if you thought that was face-palm-esque, here's the kicker. The entire setting of episodes 1/2 was a fake place. The point of this? None as far as I can see.The Kraals have spent all that time perfecting an Earth replicate, which they blew up, when they planned to just kill the entire human race using a virus anyway. What on earth is the point in that? I consider this similar to building a shed when all you want is a gate. Both irrelevant and time-wasting. But back on the bright side for a second, seeing the two Doctor's fighting was a brilliant thing to see, and a nice contrast to The Almost People. The first two episodes were excellent building a very nice mystery for the viewer, however the writing and it's lack thereof thought into writing practically ruins the mystery towards the end. 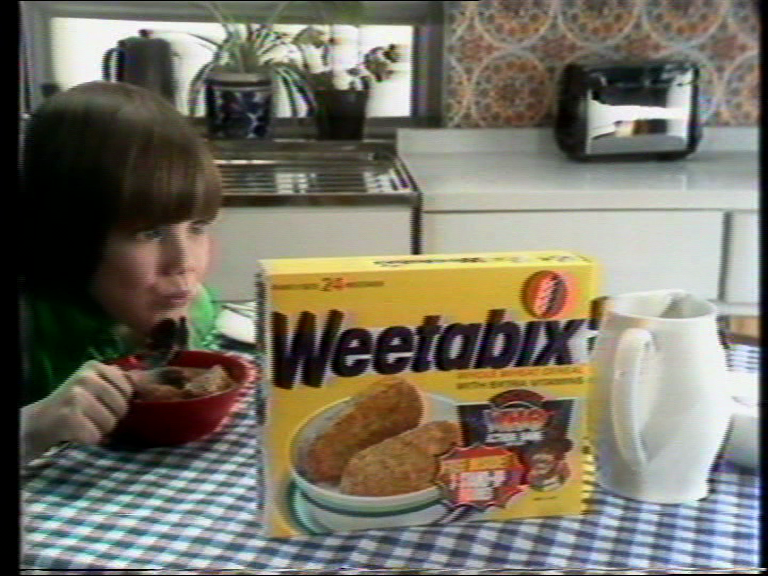 The Weetabix extras were fairly odd. First of all, we have one of those cheesy Dalek commercials. You know the ones I mean. The ones where they advertise a Doctor Who related product in IT'S FULL SHOUTING VOICE. 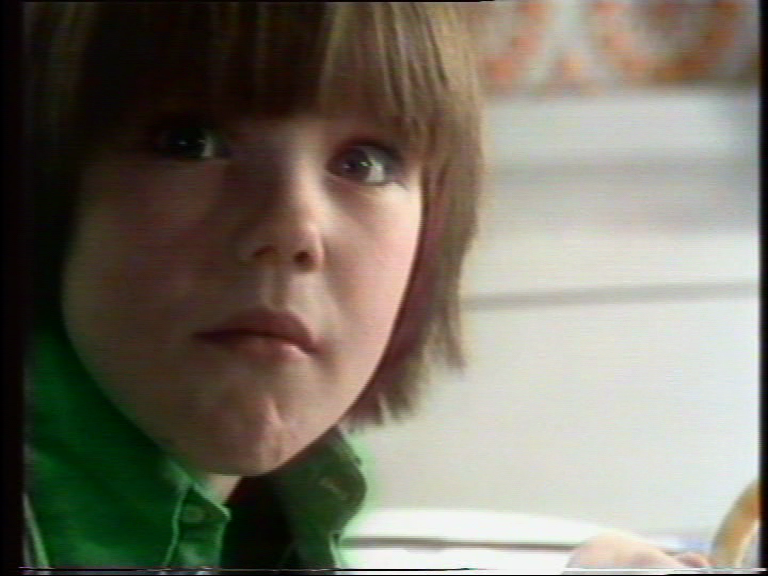 Having said that...like every cereal advert, you gotta have a kid at the end sitting in the kitchen eating his breakky. Although the ending is extremely funny where I had to watch it a few times (with slowmo). 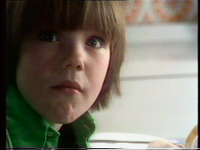 The kid's reaction to the Dalek's shouting of exterminate can be likened to your expression when your Mum walks into your room half-way through masturbating. Not talking out of personal experience there, I'm too smart for that ;) ...Daleks...there to stop kids cleaning their cucumbers too rapidly at the dining table. Accompanying this advert are two pdfs featuring many pictures from two Weetabix. I do find these quite interesting. 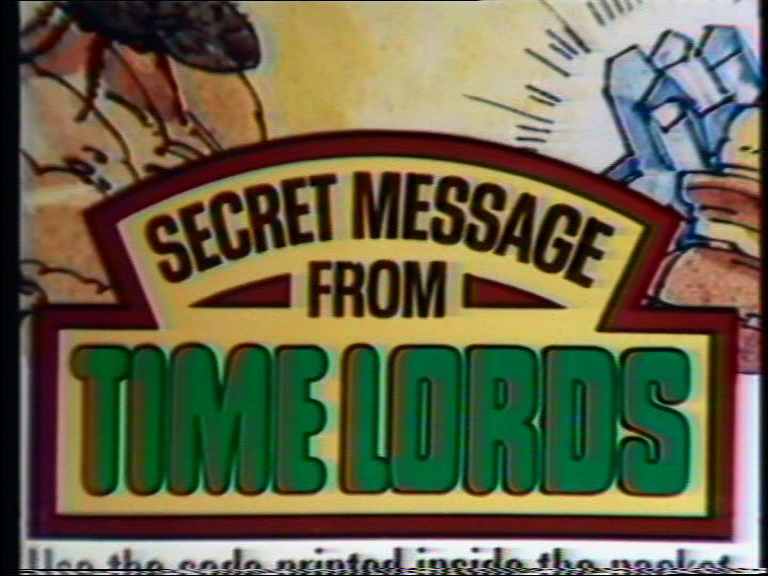 Among these is a mention of being able read the “Secret code of the Time Lords”. This just had to make me laugh as recently there has been a proper attempt at creating Gallifreylean code here, which I personally to be pretty decent. 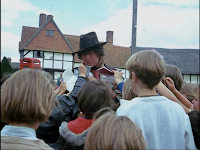 "When Terry Nation gave birth to the Daleks in the second Doctor Who adventure, his career took off like a rocket". *Cue picture of the rocket taking off*. (You know...just in case people don't know what a rocket taking off looks like). This little cheesy excerpt is from another extra on the disc. This one presented by mainly Nicholas Briggs (our current Dalek voice) is about how Terry Nation first started out with stories on the Daleks but then moved onto doing the Android Invasion. It includes how they battled with Tom Baker needing to be accepted by his audience just after his first season (Yeah.....we know!) just like every other Doctor had. 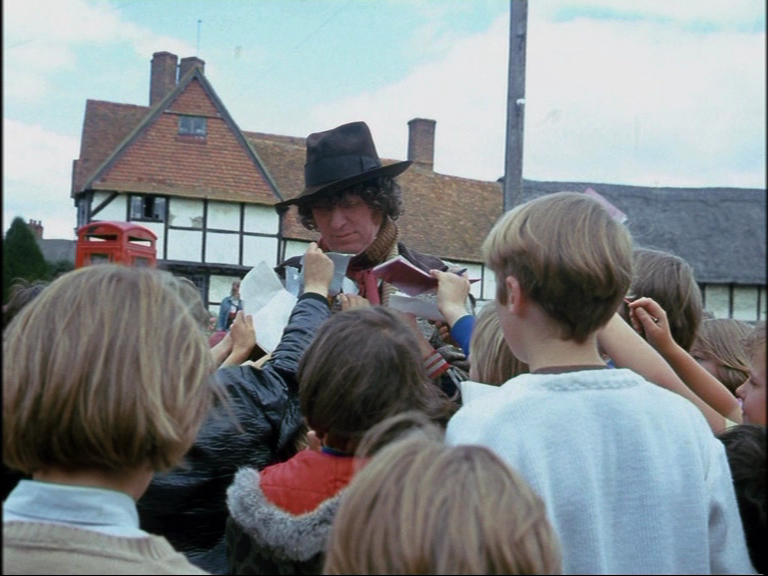 It also had a nice mention of "The Children Invasion" when Tom Baker showed up! 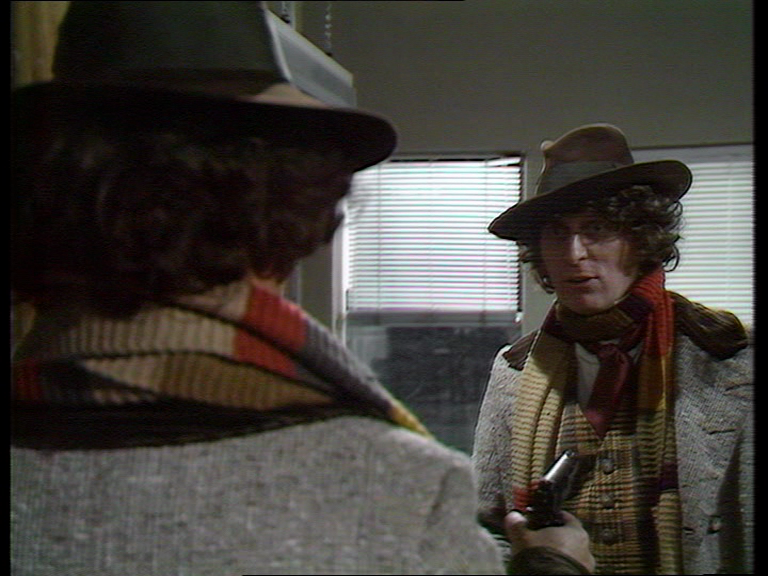 It also references the viewing figures that Doctor Who had back in the day. Around then, they had around 10 million + viewing figures on average, with The Android Invasion being fairly popular at 11.7 million viewers. These beating most of all of the new series (and to be fair, most of the classic series too!). The commentary track was, as always, a delight to listen to. It's fairly unbelievable how much you can learn from these and something that I am missing a fair bit nowadays. For example I learned that they used Video discs to produce effects like reversing and slow mo which they had to book out. You also have, as usual, the Radio Times pdf clippings. Not much really to say about them really. Likewise with the Location Sound Rushes which are an easter egg. These are basically, just bits of the audio from the episodes cut out and played back, unless I’m missing something? They appear to be pointless to me. Only pointless thing on here though! The production notes are however, another highlight of the extras. Some may prefer to simply read this straight through by ripping these into a text document as opposed to watching these as subtitles as that would be far better than watching the episodes for a 3rd time when just focusing on words. This would probably render some of the references useless though as some of them refers to specific shots, angles, etc. It does give some good knowledge though and I did find this bit very interesting. As this is part 1 of a Two-Part set, I will provide links for purchase and further details in my 2nd part. If you have any questions, feel free to ask me below or tweet me here. 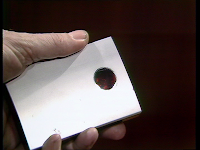 Could you do the special edition 2-disc version of Remembrance of the Daleks? PLEASE?